This luxurious hotel, set in a 30 acre estate bordering the Bracken Course, boasts a popular restaurant and bars that are open to non-residents. 500 metres from the 1st tee, £2m makeover in 2013 with a range of bars and restaurants, first class accommodation. Located in the market town of Horncastle, only a ten minute drive from Woodhall Spa. The hotel has a spendid reputation for fine food and friendliness, refurbished public bar and Sky TV. Welcome to this comfortable family run guest house just a pitch away from the golf course. Golfing parties catered for. Good home cooking. 7 En-suite bedrooms available. Parking for 10 cars. Situated in remarkable countryside overlooking St Margaret's Church which marks the centre point of old Lincolnshire, 5 miles from Horncastle. Furnished and fully equipped to high standard. Sleeps up to 6. Newly modernised, fully equipped, spacious, self-catering bungalow in the centre of Woodhall Spa. Easy access to local amenities and National Golf Centre. Comfortably sleeps six people. Three bedrooms en suite. Free wireless broadband. Ample Parking. Welcome to one of Lincolnshire's finest hotels. Stay in one of our individually designed, recently refurbished bedrooms and dine in style in our contemporary Brackenborough Bistro & Bar, which boasts freshly cooked food. Located 21miles from the golf club. Quality accommodation with 4 star quality in tourism grading. 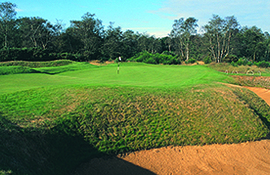 Conveniently situated for golf course, shops and restaurants. En-suites. Lounge, conservatory, garden and patio available for your enjoyment. Self-catering apartment in the heart of Woodhall Spa, Just a short walk away from the Golf Club. Furnished and fully equipped to a high standard, with two twin rooms, kitchen, bathroom, lounge and large reception landing area. Friendly, relaxed pub and restaurant with 8 well appointed en-suite rooms adjacent to the main building. ETB 4 star rating. 'Taste of Lincolnshire' award winner. Ample parking. Located in the heart of Woodhall Spa is this cosy and modern one bedroom self-catering apartment. Fully furnished double room with en-suite and open plan living area. There is a private patio and off road parking for your use, just a 5 minute walk from the golf club. In the grounds of Clifton House, our coach house has been restored to provide a high standard of accommodation to ensure your stay is as comfortable as possible. All rooms en-suite, with tea/coffee making facilities. Luxury family run guest house, newly refurbished to a 5 star standard. Conveniently situated 100m from village amenities and 1 mile from the Golf Course. Homely bed and breakfast in a traditional, unspoilt guest house in the centre of Woodhall Spa close to all amenities. Off street parking. Large family and en-suite rooms available. Ideal for small groups. Friendly Bed & Breakfast at Moorlands, which is in a picturesque and quiet location approximately 2 miles from the centre of Woodhall Spa. Friendly luxury B&B tucked away in a secluded spot, on the outskirts of Woodhall Spa beside the River Witham. 'Taste of Lincolnshire' Runner up best B&B 2005. Beautiful family home with 3/4 acre garden. Disabled access. Fantastic self-catering pine holiday lodges, 20 mins drive from Woodhall Spa. 7 luxury lodges surrounding a tranquil fishing lake in a sheltered, picturesque setting in the middle of our farm. Great for fishing/golfing weekends and family holidays. Recently refurbished, Broomlea is a two minute walk from the golf course sleeping up to five with additional sofa bed downstairs to accommodate two extra. We are local people and our aim is to make your stay as enjoyable as possible. Branston Hall Hotel is the perfect venue for all of your requirements. Set in 88 acres of woodland with 48 en-suite bedrooms, leisure facilities, conference and banqueting facilities and lakeside restaurant. Privately owned elegant country house hotel and bistro restaurant overlooking the 1st green on the Bracken Course. Renowned for its warm welcome, excellent cuisine and fine wines. Luxury self-catering bungalows, static caravans and touring park set within a leisure complex which includes 18 hole par 3 golf course, heated indoor swimming pool, covered tennis courts, bar, restaurant and lots more. Calluna is a large bungalow offering high quality accommodation for up to 7 people in Woodhall Spa. Quality in Tourism 4 star rating. 5 minute walk to WSGC. Ample parking. Friendly guest house off the main road, close to the golf course. Off street parking, four rooms, all en-suite with TV and tea/coffee facilities. Nigel and Kay provide a warm welcome, clean accommodation and a hearty breakfast for their guests. 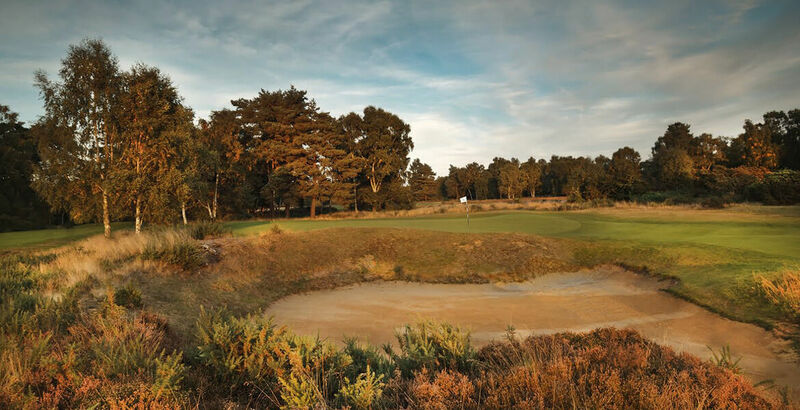 Gables End is ideally situated in a wooded location only a few minutes walk to Woodhall Spa Golf Club - only 450 yards from the Bracken 1st tee. Wonderful country pub with 8 luxurious en-suite rooms. Renowned for its good food, real ale and old world atmosphere. Just 10 minutes from the golf course. 5 Star rated accommodation within beautifully converted 18th Century granary. King-sized double bed, wood-burning stove, wireless internet and private garden, dogs welcome. Excellent reputation for warm and friendly welcome. Lovingly refurbished to the highest standard. Tourist Board 'Welcome Host' ETB 4 star rating. All rooms en-suite with TV Tea & Coffee facilities. Fully licensed. Off Street Parking. Well appointed self-catering cottage set in a peaceful location 1.5 miles from the golf course. Sleeps max 4. Cosy, stylish en-suite accommodation in converted stable block. Come and go as you please with self contained units. Close to Woodhall Spa. ETB 4 diamond rating. A warm welcome from Margot and John to our Edwardian villa. Relax in our interesting garden with its own lake. Enjoy your stay in one of our guest rooms or in our self-catering studio overlooking the lake. Watch the sun setting, enjoy the village pubs and restaurants, visit our aviation heritage, enjoy walks by the river, visit the famous Golf Union only a "drive away" if you were Tiger Woods! Three luxurious 4star Gold Award self catering cottages within the beautiful Lincolnshire Wolds approximately 15 minutes drive from Woodhall Spa. Caravan Club 5 touring caravan site. Horse paddocks and stabling to enable guests to bring their horses on holiday. Fishing lakes on site. Ideal for golf, fishing, walking, cycling, horse riding. Weekly lets or short breaks available. Perfect golfers retreat, this self-catered cottage and bed & breakfast located in the quaint village of Edlington, just 6.5 miles from the Golf Club and 2.5 miles from the market town of Horncastle. All rooms are furnished and fully equipped to a high standard; the cottage has one twin, one double bedroom, kitchen, bathroom, lounge and reception landing area. There are 3 double bedrooms available in the hall itself so larger golfing parties can be accommodated and a more bespoke service added on request. Stay in beautiful award-winning self-catering accommodation in historic stables in Martin, just 4 miles from Woodhall Spa. Choose between the Hayloft which sleeps 2 – 4 and the smaller Bothy sleeping 2 – 3. Both have wood-burning stoves, impressive baths and gorgeous gardens. Sherry pampers you with home-made bread, a local Lincolnshire hamper, a bottle of wine and luxury toiletries. Willowbrook Farm can offer comfortable rooms in a charming farmhouse. It is an unspoilt gem in an idyllic countryside setting. Tucked away at the end of a leafy rural lane in a small pretty village nestled in the Lincolnshire Wolds a designated area of outstanding natural beauty. A 10 minute drive from the Golf Course. Two double rooms and one with three single beds.A large comfortable lounge with TV for guests to relax. Luxury 5 star holiday cottage, self contained in the grounds of Thimbleby Lodge. This self-catered cottage offers a peaceful haven to relax and unwind after a day in the countryside. Fully fitted private kitchen with top of the range appliances. Private parking, pets welcome. 2 Hartington House, The Broadway, Woodhall Spa. LN10 6ST. A modern 1 bedroom apartment in the centre of Woodhall Spa, a short walk from the golf club. The apartment can sleep up to 4 people and offers a Lounge, fully equipped kitchen, shower room and private off road parking.